This is a classic routine that is easy to learn and fun to perform. This can be done with any deck at anytime but works really well when you structure it into a set of three effects that use the same four cards. I have several video tutorials to choose from that will enable you to structure a powerful set of three routines that will seamlessly work together. It’s fun to work your magic this way and how it also engages the audience. 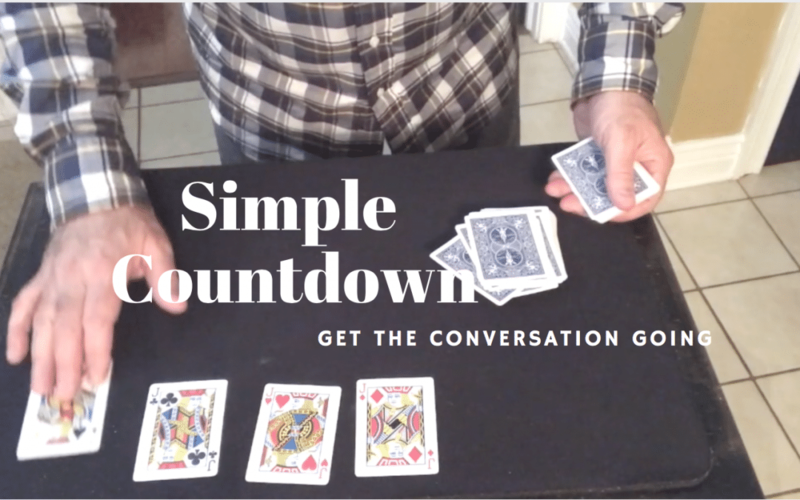 This one would be great in the middle because you can get four people involved in the routine giving you an opportunity to ask each person questions about them before asking them to give you a number between 10-20 and that chosen location holds one of the cards. Magic is a great way to engage those you are performing for because it makes the magic more than the tricks, your performance and more about them. Learn this approach and it changes the experience completely. If you are interested in receiving my video tutorials, here is my gift to you. Click the link below and let me know where to send these to you.